Lisa Borrero is a native Hoosier from Bloomington, Indiana. She earned her undergraduate degree in psychology from Earlham College in Richmond, Indiana, and graduate degrees from Indiana University Bloomington – a Masters in Counseling and PhD in Health Behavior. She also earned a graduate minor and certificate in gerontology. Before joining the faculty at UIndy about four years ago, Borrero worked for three years as an assistant professor at Indiana State University. She was presented with the 2018 Outstanding Faculty Award earlier this year. 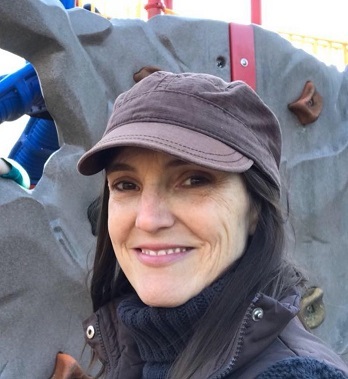 In her free time, she enjoys spending time in nature, hiking, reading, going to museums and having all sorts of fun with her husband and two kids (ages 6 and 11). Talk about the focus of your research & teaching. Tell us something people might be surprised to know about you. Share one of your favorite ‘health’ related tips with us? Favorite place(s) to spend time on campus?